Every student needs a place to play and be physically active! Research shows students behave better in the classroom and achieve better test scores with regular physical activity outside the classroom. Cunningham Recreation takes pride in developing age-appropriate play spaces that will challenge students and allow them to grow and develop mentally, physically and socially. As an exclusive GameTime playground equipment distributor, all of our playground designs meet or exceed ADA guidelines & standards and are built from the highest quality materials. GameTime playground equipment & sets are fully customizable, allowing organizations to choose their playground surfacing, equipment and amenities, and are designed to add tremendous value to communities. From age-appropriate developmental activities to safety requirements, we ensure that our playgrounds can be enjoyed by children of all ages and abilities. Combine that with environmentally friendly design and one of the industry’s best warranties, you can have peace of mind when selecting GameTime equipment for your school. Whether you're looking for an entire play system or separate, free standing equipment to enhance your school, daycare or early learning center, Cunningham Recreation can help you identify the best equipment for your space and budget. Our playground sets are available at nearly any price point, and each set is customizable, allowing schools to choose their products, colors and themes. The Cunningham team works with you to understand your needs and budget and can design a play system that accommodates your preferences. Looking to add some small play components to your playground? Maybe you simply want to build a smaller-scale play area? Our freestanding play equipment and playground climber options are just the thing for you! Daycare and preschool playgrounds play an essential role in the development of a child. 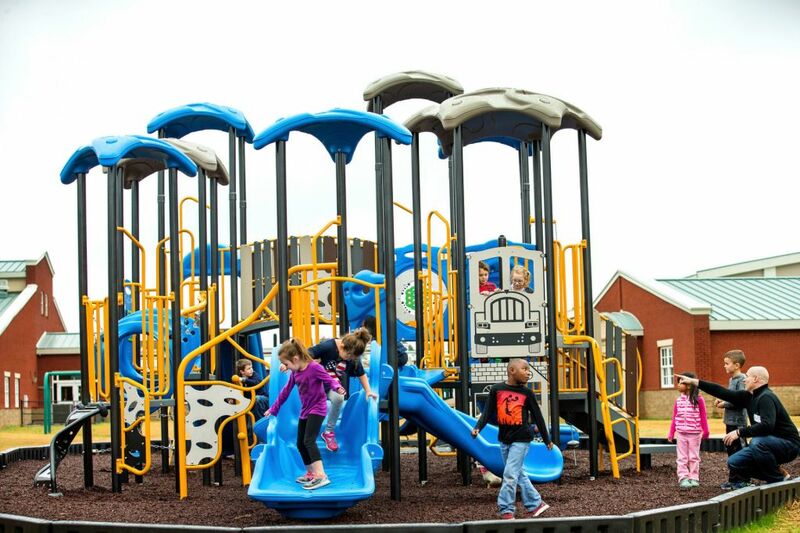 Trusted since 1929, GameTime is uniquely qualified to design playground equipment for the specific needs of preschool-age children. Our team includes former early learning center administrators, teachers and curriculum authors who understand the importance of play in child development. We can help you enrich the learning experience with daycare playground equipment, freestanding play activities and more that inspire imaginations, promote exploration and discovery, and encourage the development of physical and social skills. Contact us to learn more about our school playground equipment. Use the form below to request more information about our school playground equipment.